Enjoy the best of Cornish hospitality at the plush St Mellion International Resort, a unique blend of contemporary style and unique 4-star facilities including an AA luxury hotel, leisure centre, Elemis day spa, tennis courts, a European Tour golf course, a brasserie and an award-winning restaurant. The award winning facilities at St Mellion International Resort make it an ideal venue for hosting your team building activities. This luxury resort and spa offers easy access to Devon, Dartmoor and Bodmin Moor. 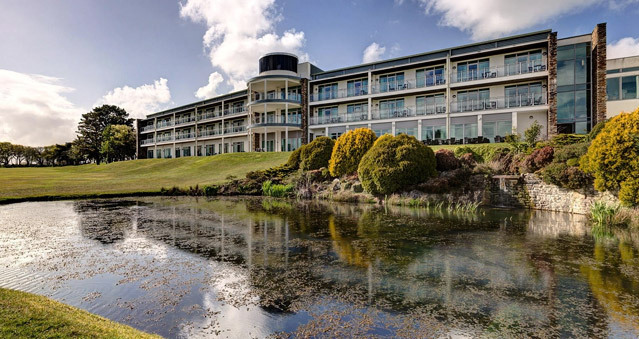 Discover the scenic Cornish villages, rolling countryside and breathtaking southwest coastline during your stay at the St Mellion International Golf Resort. Rock and Padstow beaches, as well as the Eden Project and the Lost Gardens of Heligan are just a short drive from the resort. Ideal for Get in the Zone, Real Life Clu’Doo, Escape the Box, No Ordinary Quiz, Murder Mysteries, Ipad Movie Making and lots more.